One of the things I love most about this time of the year is abundance of sweaters and opportunities to wear them. I admit that I am more than a little addicted to snuggling up into sweaters on chilly days. I have more sweaters in my closet than any other piece of clothing and each year happily add to my collection. 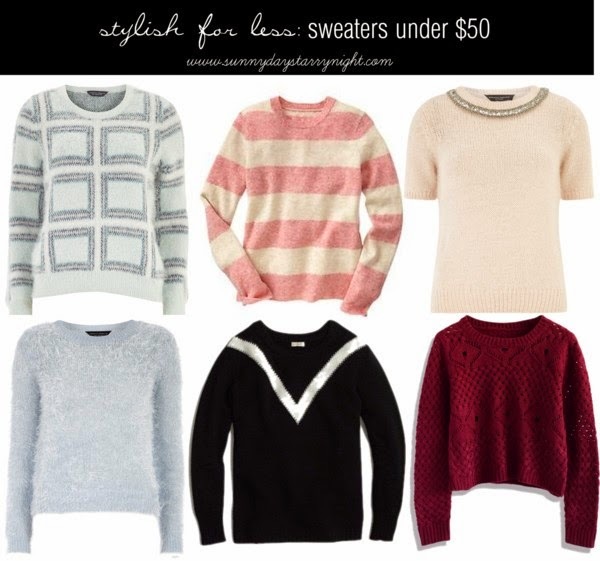 Today's stylish for less is a round up of some beautiful sweaters under $50. I am really loving soft/pastel colors this year. How pretty is this mint sweater? Below are a few more of my favorite options. I planning on adding to my sweater collection this season - I love these (that red one is really great!). Lovely picks. I too love Winter because of all the lovely snuggly items we get to wear/have. I plan on adding so nice sweater in my closet this year. Mainly do to I gave some way in my last closet clean out. Lovely sweaters! I like the fourth and sixth one! Lovely sweaters! 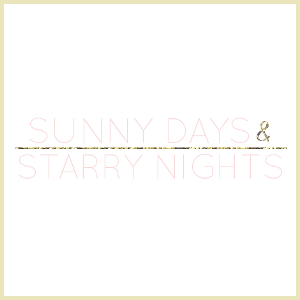 I've been drooling over that chevron one from jcrew factory! That first and second sweater should be in my closet now. Please and thank you. I love the pink n white striped one, it's so pretty and preppy!